An artist's impression of the RM50mil Pavilon Towers. GEORGE TOWN: Some RM2.94bil worth of residential and commercial properties from six developers, based in Kuala Lumpur and Penang, will be launched on the island this year. The south and south-west of the island will see some 1,275 units of residential and commercial properties launched with an estimated gross sales value (GSV) of RM1.45bil, while the north-east district will see the development of about 1,166 units of properties valued at RM1.49bil. The commercial component in the south and south-west district is about 156 units with a GSV of RM221mil. In the north-east, the commercial component will comprise 308 units of serviced suites and shop lots with a gross sales value of RM160mil. Mah Sing Group Bhd, IJM Land Bhd, SP Setia Bhd, Ideal Property Development Sdn Bhd and Wabina Holdings Sdn Bhd are some of the developers that have drawn up plans for new launches this year. In the south-west, Penang-based Ideal Property Development Sdn Bhd is launching the most projects this year with a combined estimated gross sales value of RM793mil. Its projects in Bayan Lepas include the RM295mil Fiera Vista, comprising 470-unit condominiums;the RM250mil Valencia Park bungalow scheme, comprising 142 detached houses; and the RM248mil Taipan, a mixed development project comprising 75 shop lots (GSV RM149mil) and 75 semi-detached houses (GSV RM99mil). “Both Fiera Vista and Valencia Park will be launched in July or August, while the Taipan will be launched in October,” Ideal Property managing director Datuk Alex Ooi said. IJM Land is launching in June the RM300mil Light Collection III, comprising 150-unit condominiums next to the Penang Bridge, and the RM113mil The Address in Bukit Jambul comprising 148 low and high-rise condominiums in September. For the commercial market, IJM Land is launching in the second half of 2011 the RM72mil Pearl Regency, comprising 81 retail lots, for its Metro-East mixed development scheme, near the Penang Bridge. SP Setia Bhd's key project in the south-west district this year is the RM120mil Pearl Villas, comprising 35 bungalows, to be launched in April. Wabina Holdings Sdn Bhd is introducing the first high-end condominium scheme, the RM50mil Pavilion Tower, comprising 99 condominiums in Teluk Kumbar, south-west district of the island. In the north-east district, Mah Sing is undertaking the development of the Icon Residence at Burma Road and Batu Ferringhi Residence in Batu Ferringhi, which have a combined GSV of over RM1bil. The group's spokesman said the RM280mil Icon Residence, comprising 280-unit condominiums with built-up areas ranging from 1,400 sq ft to 2,500 sq ft, would be unveiled in the second half of 2011. 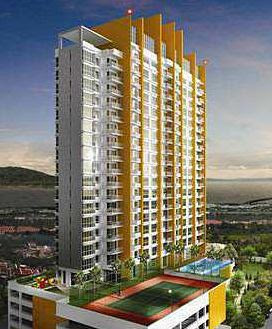 The units are tentatively priced from RM770,000. At the same time, the group will also introduce the RM800mil Batu Ferringhi Residence, which will comprise over 500 semi-detached houses and bungalows. “There will also be condominiums with built-up areas of between 850 sq ft and 1,800 sq ft, priced from RM468,800,” he said. SP Setia Property (North) general manager S. Rajoo said the group would launch the RM65mil Brooks Residences, comprising 11 bungalows, and the RM188mil Setia V Residence, comprising 67 units, in Kelawei Road, near Gurney Drive. The projects would be launched respectively in July and September. IJM Land is expected to launch the RM160mil Maritimes project, a commercial scheme which will comprise 240 serviced suites and 68 shop-lots. Kuala Lumpur: Jerneh Asia Bhd is believed to be a reverse takeover target by an East Malaysian property developer, paving the way for its backdoor listing on Bursa Malaysia. Jerneh Asia, 37 per cent held by tycoon Robert Kuok, will buy the property developer's flagship asset, believed to be a RM1 billion commercial development, by issuing new shares. When contacted by Business Times, Jerneh Asia managing director Tam Chiew Lin could not confirm or deny if the reverse takeover deal is in the offing. Efforts to contact the property developer were unsuccessful. A source told Business Times that with the proposed reverse takeover in place, Jerneh Asia would be able to proceed with its capital repayment. The group is required by Bursa Malaysia to submit a revamp plan if it wants to declare a special dividend. Jerneh Asia has been looking for a new core business after selling its 80 per cent stake in insurance arm Jerneh Insurance Bhd (JIB) to ACE INA International Holdings last year for RM532.2 million cash. Following the sale, the group now has RM635 million in cash. Analysts believe that Jerneh Asia could pay up to RM2 a share in special dividends. Jerneh Asia has about 182.8 million shares and 64.8 million warrants outstanding. It is now classified as a Practice Note 16 (PN16) cash-rich company, on top of its PN17 loss of core business status. It has up to December 1 2011 to submit a regularisation plan to free itself from the PN16 and PN17 status. Jerneh Asia has yet to decide if it wants to keep its remaining businesses or exit altogether. GEORGE TOWN: The rise in residential property prices in Penang will be a more gradual this year, according to real estate valuers. Henry Butcher Malaysia (Penang) director Dr Teoh Poh Hua t said this was because residential property prices on the island increased phenomenally last ye ar by between 10% and 20%. “The demand for residential properties from investors is expected to grow more gradually this year in view of the efforts by the central government to cool off speculation such as the cap imposed on the loan value ratio for third property loan onwards. We expect more genuine buyers rather than speculators due to such efforts ,” he told StarBiz. Teoh said condominiums on the island were now facing competition from overseas properties, where prices had dropped more significantly and a strong ringgit had made acquisition of such properties more affordable. “Large condominiums in particular are very difficult to rent out and are unable to generate attractive yields. “The market demand will be more focused on smaller units that are competitively priced,” he said. On Malaysia's second home programme, Teoh said the country needed a strong and consistent branding strategy to reach out to those parts of the world with interest of investing in a second or retirement home in Malaysia. “This is lacking although a lot of work has been done to promote Malaysia as a second home destination at the private and government levels,” he said. Raine & Horne senior partner Michael Geh also said that residential property prices would rise more gradually this year co mpared with 2010. 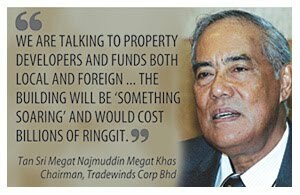 “Last year developers were targeting their properties, priced from over RM300,000 to over RM4 00,000, at bulk-buyers, who are speculators willin g to buy three to 10 units at one go. “So far this year we can see that developers are tryi ng to reach genuine home buyers who are queueing up to buy their properties. “This is probably because there is anticipation that the interest rates for housing loan will increase soon,” he added. Real Estate and Housing Developers' Association chairman Datuk Jerry Chan said residential properties prices were expected to rise this year again due to higher land and raw material costs. “Land prices in prime areas such as Pulau Tikus and the Jesselton neighbourhood have increased to about RM400 per sq ft, while the land in Tanjung Tokong and Tanjung Bungah are now priced from RM300 per sq ft onwards. These prices are 15% to 20% higher than a year ago. “Cement price had also gone up by about 6% recently to RM16 in mid-March,” he said. “Cement producers have also withdrawn rebates, which are normally given to customers for prompt and early payment. Chan added that the rise in property prices last year took many people by surprise. “They are now more discerning in their approach to buy properties,” he said. Meanwhile, Wabina Holdings Sdn Bhd managing director Datuk Loh Geok Beng said in order to stay competitive in the business, developers were now coming up with innovative designs for their housing projects. “The southwest district still has vacant land which all ows developers to come out with innovative designs. “For example, we are introducing the first high-end living condominium scheme, the Pavilon Tower, in the southwest district, which comes with a variety of life-style facilities,” Loh said. KUALA LUMPUR: Tradewinds Corp Bhd (TCB), which plans to demolish the Crowne Plaza Mutiara Hotel and Kompleks Antarabangsa, to make way for a "multi-billion-ringgit" mixed commercial development, is in talks with several local and foreign parties to help finance the project. Chairman Tan Sri Megat Najmuddin Megat Khas said it is looking for joint venture partners to develop the project. "We are talking to property developers and funds both local and foreign," he told Business Times. He hopes TCB will hold a majority stake in the joint venture that will develop the property. TCB plans to bring down the hotel and the office building located on Jalan Sultan Ismail to make way for a "multi-billion-ringgit" mixed commercial development. The buildings sit on a 2.43ha plot. In preparation for this eventuality which could take over another year, in April 2010, TCB's 85.1 per cent unit, Tradewinds Hotels & Resorts Sdn Bhd, entered into an agreement to sell Crowne Plaza to Symbolic Supreme Sdn Bhd for RM384 million. Tradewinds owns 100 per cent of Symbolic Supreme. The transfer is to facilitate future development. TCB has obtained the development order to go ahead and come out with detailed plans for development based on the allowed plot ratio. It is looking at the possibility of building an office, retail and residence component on the land to provide the group with recurring income stream. Megat Najmuddin said the building will be "something soaring" and would cost billions of ringgit. Crowne Plaza is a 38-year-old building of 35-storeys and 565 rooms. It first opened as the Kuala Lumpur Hilton. It is now managed by the InterContinental Hotels Group (IHG) which may still have eight years remaining under the management contract. Prior to IHG's management, Tradewinds managed the hotel on its own for a short period under the name Mutiara KL. Kompleks Antarabangsa, meanwhile, is a 30-year-old building with 21 storeys of car parks. The net book value of the office is RM159.83 million, as at December 2009. The building together with land may be worth an estimated RM1.5 billion, based on recent land deals. Mitrajaya Holdings Bhd (MHB)'s subsidiary, Pembinaan Mitrajaya Sdn Bhd, has secured a RM25.59 million project from Putrajaya Holdings Bhd, to build double-storey terrace and semi-detached houses. Under the project, 37 double-storey terrace houses will be buit in Zone 9A, Precinct 11, Putrajaya. Another 45 units of double-storey terrace houses and four double-storey semi-detached houses would also be constructed in Zone 10A, Precinct 11 of Putrajaya, MHB said in a statement today.